Corporate Connexions ‘Journey’ Program is our series of critical people-building intersections along the road to organisational change and effective team engagement. We show that leadership success is fundamentally about your values, behaviours, and developing your ‘Quality Working Relationships’. 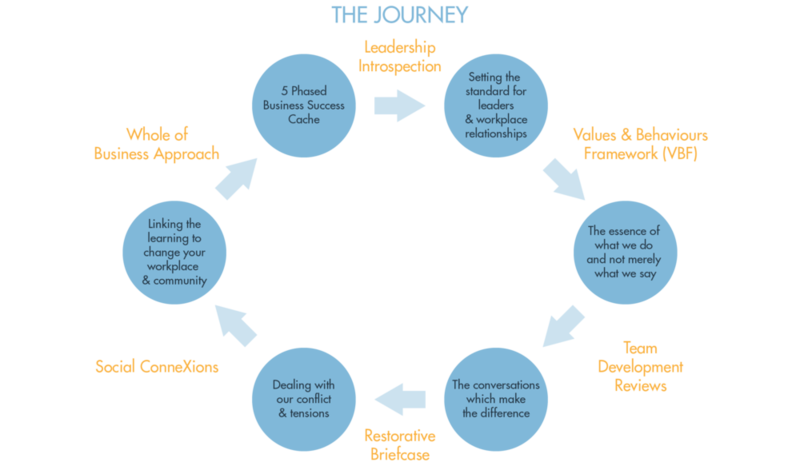 Our 2-day Leadership Introspection Program (LIP) introduces teams to a range of contemporary leadership models. In particular, the program explores and promotes the necessary conversations concerning their own particular workplace, and challenges participants to analyse their own leadership styles and behaviours - and the impact these have on workplace performance and outcomes. 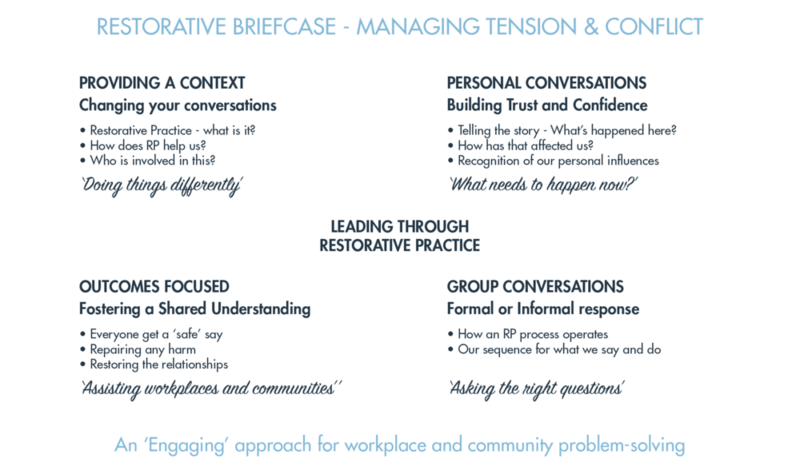 The LIP provides an opportunity for all levels of your organisation to look at a critical evidence-based approach for moving both personal and business performance to a higher level of attainment. Assists in building a common understanding at every echelon in an organisation about what is appropriate – and indeed what is not - when it comes to both individual and team behaviours in the workplace. 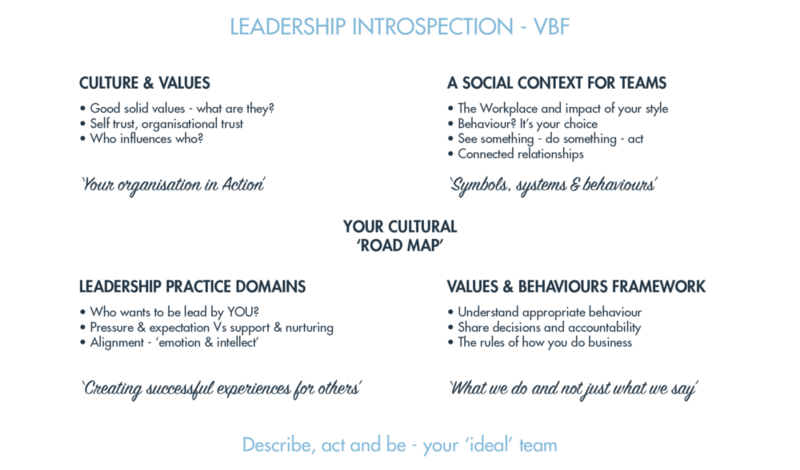 The VBF effectively becomes your organisation’s cultural compass and a roadmap for where you want culture to be. The VBF plots how building team trust around confidence, cohesion - will effect your business improvement - and importantly, enhanced workplace morale, essential for increased organisational business success. These are the formal connection between your leadership group and individuals in the team on a regular basis to discuss leadership and outcomes needed for both personal and business success. These facilitated forums provide an environment for open and transparent discussion - empowering individuals to have a say about working ‘ON’ their business and not merely ‘IN’ it. Leaders gain instruction in the necessary skills to open up and conduct brave conversations by leading through questioning relative to core business activity, development and goals, which connect to specific organisational strategy. The TDR is a very powerful workplace tool critical in escalating personnel engagement and cultural change.